Main Level Bedroom - Premier Group | Long & Foster Real Estate, Inc.
Top quality, Sycamore Design Build, NEW home construction masterpiece! "Transitional" style with every imaginable luxurious detail, this home features a top-of-the-line gourmet kitchen with quartz counter-tops & Viking appliances, magnificent wrap-around front porch with views, main level master bedroom & an upper-level master bedroom suite featuring a dual-sided gas fireplace, sitting room with coffee bar & wine refrigerator, and an exquisitely designed master bathroom with heated floors. Don't miss the top-quality finishes and details like the HardiPlank siding, Anderson Windows, "elevator ready", optional wine cellar, 4" sanded & finished hardwood floors, energy-efficient foam insulation in exterior walls and roofline, luxury Coretec vinyl flooring on lower level, extensive stonework, hardscape, and expansive back yard stone paver patio. The list goes on and on. This NEW home is a must see, in-person, to appreciate the thoughtful architectural planning & design features, coupled with a high-quality, practical application. 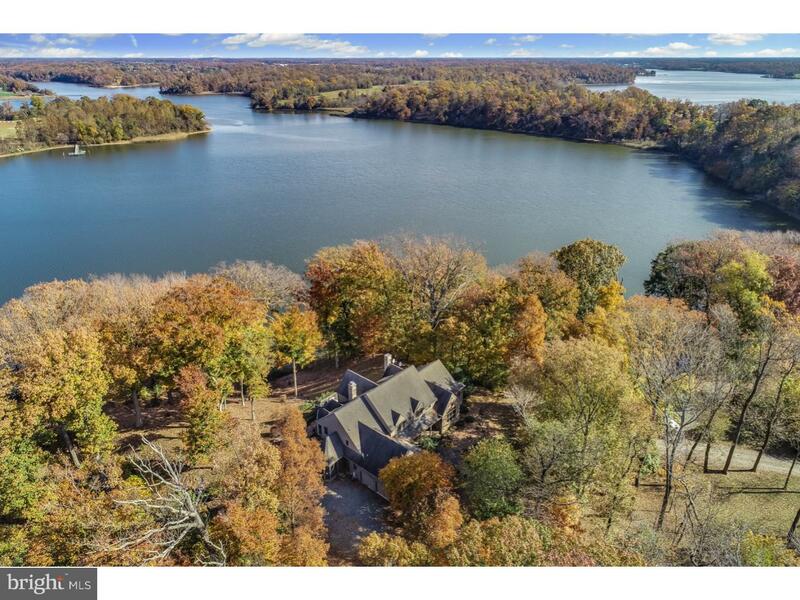 Magnificent waterfront, 7-acre estate located in Knight Island Preserve, (Actually a Peninsula)a gated 270-acre private community on the Sassafras River off the upper Chesapeake Bay. This incredible home overlooks Mount Harmon Plantation, one of Maryland's most beautiful historic sites and Back Creek, a tributary off the Sassafras River. With nearly 1,000 feet of water frontage and one of the highest vantage points in the community, the amazing views will captivate you. The property consists of the main house, a guest house, regulation clay tennis court, boat slip with lift, and access to several sandy beaches. 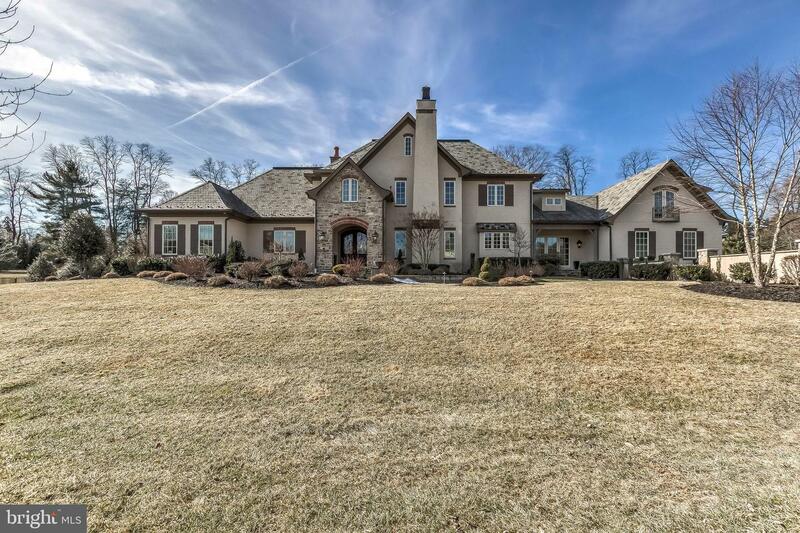 The main house is an open concept featuring a dramatic 2-story foyer with oak staircase, balcony overlook of the 2-story family room with stone 2-sided fireplace which is open to the gourmet kitchen. Custom millwork, walls of windows and hardwood throughout the main level. Also featured are a butler's pantry, breakfast room, study, main level master suite, mud room, screened porch and large deck. A walk out unfinished basement roughed-in for future bath provides the potential for an addition 3,000 square feet of living space. The guest house is absolutely charming which includes a large family room with vaulted ceiling, wood burning stove and loft. Additional features include an eat-in kitchen, a second master bedroom, additional bedroom, loft and deck. This amazing home is the epitome of luxury and recreation, whether you are a boater, tennis player, hunter or fisherman. View the 3-D Virtual Tour or better yet, make your appointment for a private tour today! 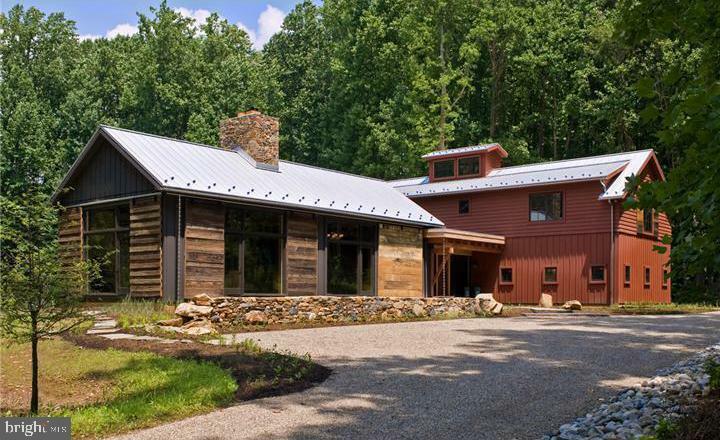 A True Custom LEED Certified Home, Leadership in Energy and Environmental Design Silver Certification. The stunning bright open flowing floor plan captures the natural light and brings the outside right into your home with scenic views in every direction. Enter the private residence into a Central Core Foyer which ingeniously connects the Living Areas to the Bedroom Quarters and the Garage/Service Areas. The Great Room style gourmet Kitchen has loads of natural light, commercial grade appliances, soaring cabinetry, natural timber framing and center fieldstone dual-sided fireplace. A beautiful flagstone exterior patio includes a huge gas outdoor fire-pit with stone wall surround and recirculating stream. The main level Master Bedroom suite plus office with built in desk and matching shelving includes a soundproofed Den/Music Room, luxurious bathroom suite and a finished oversized Walk in Closet. The second floor is harmonize with a Gathering Room and 3 additional bedrooms with private bathrooms. A large finished lower level includes a bank of storage closets, an additional gathering area and work area. Completing this home is the first floor customized utility/laundry area and pantry adjacent to the large heated 2 Car Garage with a tile pet washing/grooming station leading to a 3 car covered Lodge. 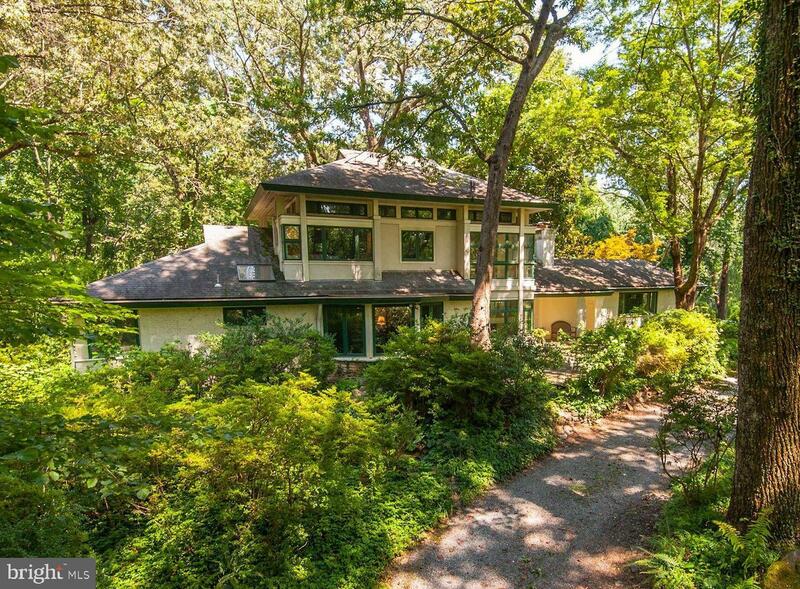 Located on a quiet, private lot, surrounded by 5 acres of enchanted wildflower meadows and meandering paths, this majestic energy efficient home is located minutes from all the amenities you look for, with easy access to Longwood Gardens, Kennett Square, Wilmington and the surrounding areas! Within two miles of the Capital Beltway at the end of one of Potomac's most prestigious streets is the 3.27-acre sylvan oasis, Marker Oaks. With a five-bedroom mid-century modern house with a main level master bedroom suite and a serene pool, pool gazebo and extensive hardscaping surrounded by nature, mature trees and colorful plantings, it's easy to imagine oneself in the middle of the country. With a tree house and zip line, two surrounding boundary streams and county parkland, this property is a nature lover's dream. 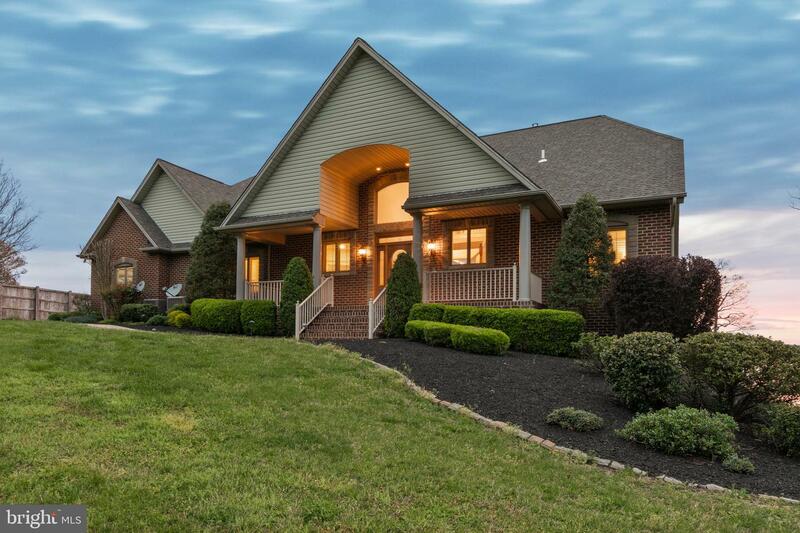 The house itself is approximately 3,700 square feet on three levels, and it has abundant space for family living, entertaining and a stunning home office on the upper level. While one can certainly enjoy the updated existing structure, this parcel is also a prime candidate for new construction, given the bucolic setting and acreage. New Improved Price!! At a great value, - here's your opportunity to live where you play! 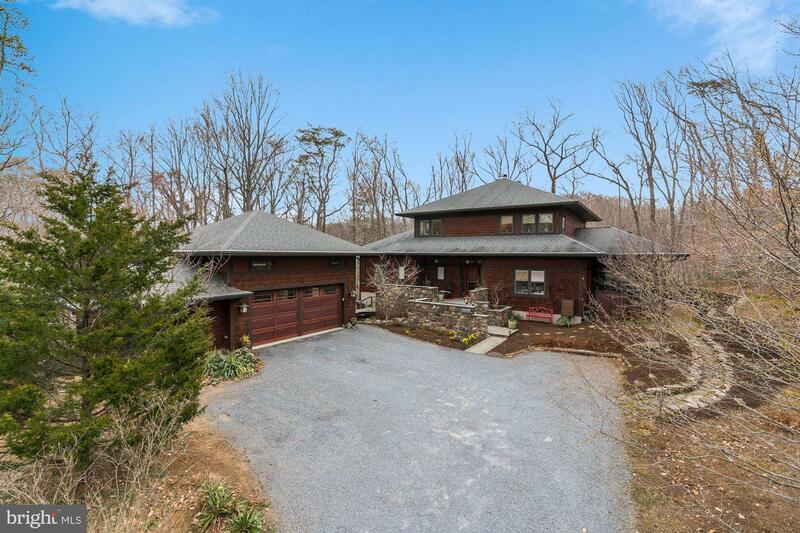 You'll enjoy spectacular, expansive water views of the South River out to the Chesapeake Bay, from every room in this non-riparian, waterfront home. Located in the prestigious Fishing Creek Farm community and, across from the community marina, - with boat slips for lease, - a water-side swimming pool and, clubhouse/party room, - this elegant, contemporary home boasts an airy, light-filled, open floor plan with an abundance of windows and custom finishes. The spacious rooms throughout, include: an inviting great room w/limestone fireplace; a deluxe, main level master bedroom suite, w/vaulted ceiling; on upper level, 3 additional bedrooms (1 converted into a family room), each with an en suite bathroom and, a 2nd fireplace; 2 wrap-around, waterfront decks; a 1900+ sf covered patio; professionally landscaped lot with underground sprinkler system; a slate roof; and, a 2-car garage. Some furniture may convey, if desired. Just 5 minutes away from downtown Annapolis and near Thomas Point Park, Quiet Waters Park, and myriad shopping & entertainment options, additional Fishing Creek Farm Community amenities include a tennis court, crabbing pier, beaches and kayak storage. This is a perfect home for family living & entertaining. WELCOME HOME! This is a very special waterfront property with breathtaking views of Little Round Bay and the Severn River. The property is located in Herald Harbor on a peninsula across from Saint Helena Island. The lot is .44 acre with 158 feet of waterfront on Little Round Bay on the Severn River and 86 feet of waterfront on Crystal Cove. The home located on the property is a charming early 1900's 26' by 26' cabin with a 20' by 20' three level addition that was added in 1998. The original cabin features a 26' by 12' great room with a vaulted wood ceiling and a stone fireplace. Surrounding the great room are five 7' by 7' sleeping cubbies that each include a closet, window and privacy curtain. Four of the cubbies have a double bed and the fifth has twin bunks. Also included in the original cabin is a full bath with laundry; a half bath; and walk in storage closet. The 1998 addition added a huge main level country kitchen and sunroom; upper level master bedroom suite; and lower level guest room suite. The master bath has a jetted tub and separate shower. There is a 12' by 18' deck off of the main level sun room and an 8' by 18' balcony off of the upper level master bedroom suite to take in the views. Waterfront amenities include a 130' private pier with a 12' by 19' sun deck. The pier has electricity and a motorized boat lift. This could be your wonderful waterfront family home or the waterfront property on which to build your dream home. 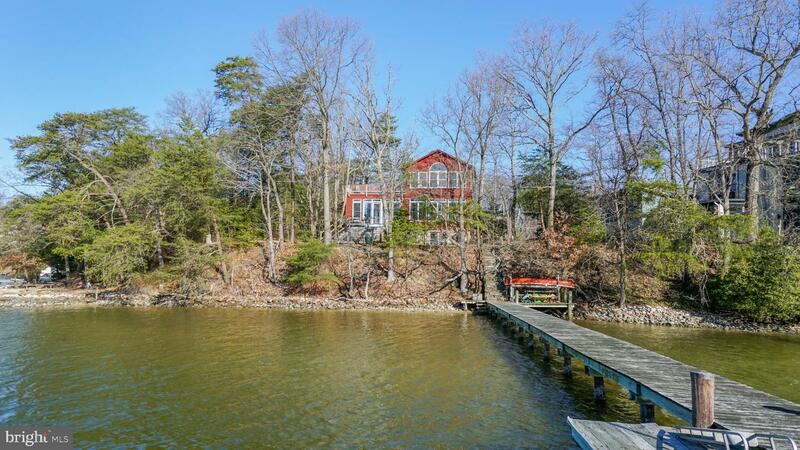 Spectacular Custom Built Water Front Home on Patuxent River with breathtaking views. Special Features Include: Private Pier with 16 ton boat lift and jet ski, soaring cathedral ceilings with perfect views in the family room, refinished hardwood floors, brand new SS appliances, main level master bedroom, huge basement with heated floors, built ins, oversized 3 car garage, all bedrooms have own full baths and much much more. Convert the gym in the basement to a 4th bedroom or finish the big room above garage. A must see!